» Billboard Tax: Great Idea, or Unintended Consequences? Billboard Tax: Great Idea, or Unintended Consequences? 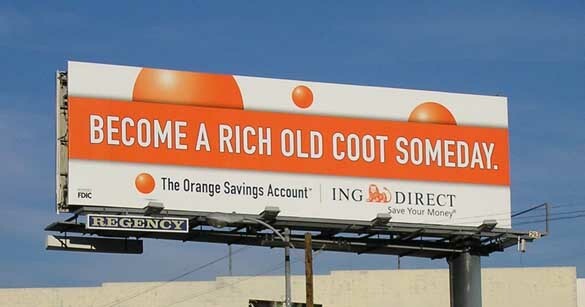 Should the city get some money for the sale of this ad aimed at drivers on the 10 freeway? It seems likely that voters in the March, 2011, city election will be asked to approve a 12% tax on the sales of ads on billboards and other off-site advertising signs. Is this just an invitation to another tedious round of lawsuits by multi-billion dollar sign companies? Or is it a long-overdue step toward getting these companies to actually pay for their use of public viewspace? Last week, the city’s chief legislative analyst issued a report calling for adoption of a billboard tax, based closely on one that has been operating in Philadelphia for the past five years. The report estimates the first-year’s revenue from such a tax at $24 million, an appealing figure for city politicians who have been wrestling with a red ink-stained budget. Assuming the tax would pass legal muster—it was challenged by sign companies in Philadelphia, but was upheld in the Pennsylvania courts—is there any reason not to embrace it? One possible reason has to do with an idea that has engaged both members of the public and some public officials, and that is reducing the number of billboards in the city. While the effort has thus far had meager results, how would city officials view proposals to get rid of more billboards when those signs were ringing the cash resisters at city hall? And more ominously, how would city officials react to efforts on the part of the outdoor advertising industry to erect more signs, whether billboards or of some other variety, if those signs meant more revenue to pay police and firefighters, maintain city streets, and so on? Then there are the 101 digital billboards put up by Clear Channel and CBS Outdoor before the companies were stopped in their tracks by a city moratorium and then a judge’s ruling voiding a lawsuit settlement that had allowed the digital conversions in the first place. These “jumbotron” like signs that run rotations of 6-8 ads per minute are big moneymakers for the companies, and would provide a significant amount of revenue to the city. Will the city now want to protect them? The city council’s Budget and Finance Committee is considering the ballot initiative at its meeting tomorrow, Oct. 18, and if members approve it will head for a full vote of the City Council. The deadline for directing the City Attorney to draw up a ballot initiative for the March, 8, 2011, election is Nov. 3.